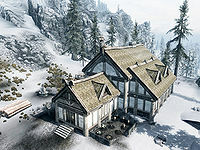 Heljarchen Hall may be named after Helarchen Creek, a settlement located roughly in the area, which appeared in Arena. 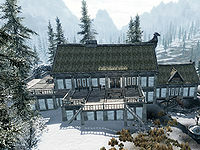 A village named Heljarchen, located in The Pale, was originally planned to be in the game but only exists as Nightgate Inn in the finished game. This page was last modified on 25 June 2017, at 12:01.